May | 2007 | ARChive of Contemporary Music, or "Would You Take My Mind Out for a Walk"
This morning, the ARChive received a call from the Mayor’s office informing us that they had received our invitation to the Summer Sale. You can imagine our excitement. It was with great regret, however, that we learned he would not be able to attend. Maybe next time, Mike? Leonard James was a high school friend of Mac Rebbenack—AKA Dr. John the Night Tripper. They went to different high schools together. James was also a saxophonist and bandleader during those days, the mid fifties. Rebbenack originally played bass when he hooked up with James, because there was already a guitarist in the band, Earl Stanley. Rebbenack wanted to play guitar in the band, so he tricked Stanley into buying one of the first electric basses in New Orleans, effectively switching their positions in the band. Rounded out by drummer Paul Staehle and pianist Hal Farrar, this was the core group led by James at this time—and most likely the players on the album they recorded for Decca Records in 1958. The group didn’t seem to have a steady singer at the time—of the five who worked with the band, several were in and out of jail. Perhaps this is why Boppin’ and A-Strollin’ is an instrumental record. Most of the album consists of mid-tempo pieces—good to stroll to. “Hot Springs” is a thinly disguised re-write of “Harlem Nocturne,” but played with a grind-worthy feel. James’ saxophone is dominant throughout the album and on “Chicken Hop” he displays a strong Big Jay McNeely influence. All of the compositions are credited to Leonard Dauenhauar (probably James’ real name), Cosimo Matassa (who owned the main studio in town, where these recordings were most likely made) and Malcolm Rebennack. Other than that, there is no information regarding the musicians on the album. 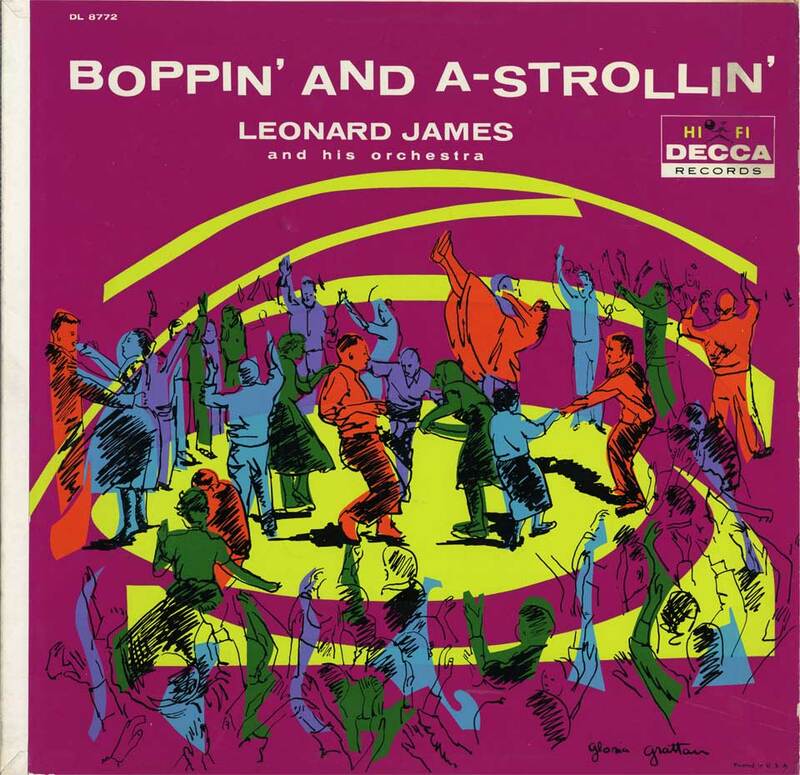 The front cover consists of a drawing of folks doing the stroll (one supposes) and the back cover describes and illustrates the dance. The ARChive copy is a pink label promo. For more information regarding this early period in Dr. John’s career, dig this. Also, read Dr. John’s autobiography, Under a Hoodoo Moon. As happens now and again, we have visitors who knock on our door looking for records. Although we are not a record store, we do have a twice-annual record and CD sale that helps keep us going. This year, our sale starts Saturday June 23rd, and ends Sunday July 1. Once the flyer is scanned, we’ll blog it for all to see, so stay tuned. Most might be best familiar with his work with the Beastie Boys, who have a new album called The Mix Up. Also as of a couple weeks ago, the BB’s re-launched their website with a splendid new look. Go there and bask in its awesomeness. Yesterday at the ARChive, we listened to the Fleshtones’s album Hexbreaker. It was awesome. Right now at the ARChive, we’re listening to Irwin Chusid’s excellent radio show “Muriel’s Treasure” on WFMU. It happens every Wednesday from 2:00-3:00 and can be streamed simply by navigating over to the WFMU website. 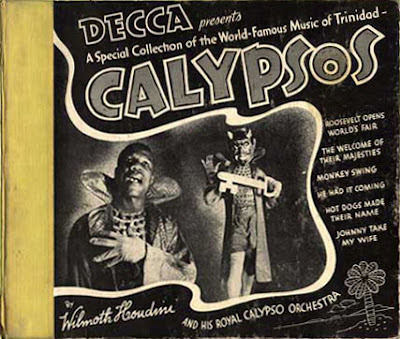 Muriel’s Treasure now has a blog, upon which you will find scans of of really wonderful older calypso album covers. As I type, Irwin’s reporting that at some point in the near-ish future, all the archived Murial’s Treasures shows will be offered as podcasts, so if you’ve missed any episodes, there will come a day when you can get all caught up. What a bacchanal! It gets me to thinking: What if one encoded a piece of music in a bacteria’s DNA, devised a way to get it to mutate, and then extracted the information. What would it the music sound like? What if you did this a thousand times. Would the pieces start to sound the same after a while?